The virtuoso Gary Graffman, the teacher of Yuja Wang and Lang Lang, celebrated his birthday with musical royalty (and a grand-piano “Happy Birthday to You”). 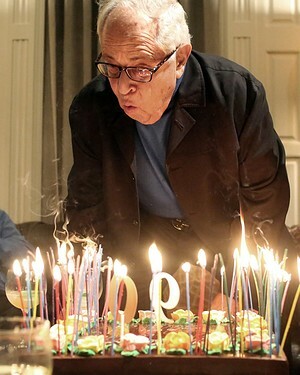 It was his 90th birthday party on Sunday evening, and the pianist Gary Graffman was holding court. Lang Lang, a former student and current superstar, bounded into Mr. Graffman’s apartment across from Carnegie Hall with a present. “No, don’t get up,” Mr. Lang protested as Mr. Graffman rose. “I want to show you that I can get up!” Mr. Graffman said with a laugh, putting down his mango-flavored vodka. A few minutes later, the pianist Leon Fleisher arrived. “Somebody older than I am!” Mr. Graffman exclaimed, greeting Mr. Fleisher, his senior by a few months. Many decades ago, the two were in the same generation of musicians, a group once jocularly called OYAPs: Outstanding Young American Pianists. When they sat down to catch up on a sofa in the living room, Emanuel Ax — yet another piano star — couldn’t resist snapping a photo. It was one of those only-in-New-York nights, gathering enough musicians to headline several galas in celebration of a beloved figure in the classical music world. To get a sense of what all the fuss was about, here is a look back at highlights of Mr. Graffman’s storied career.